Germany’s Social Democrats, the country’s second strongest party, agreed Thursday (7 December) to kick off exploratory talks with Chancellor Angela Merkel’s conservatives that could lead to a new coalition government early next year. 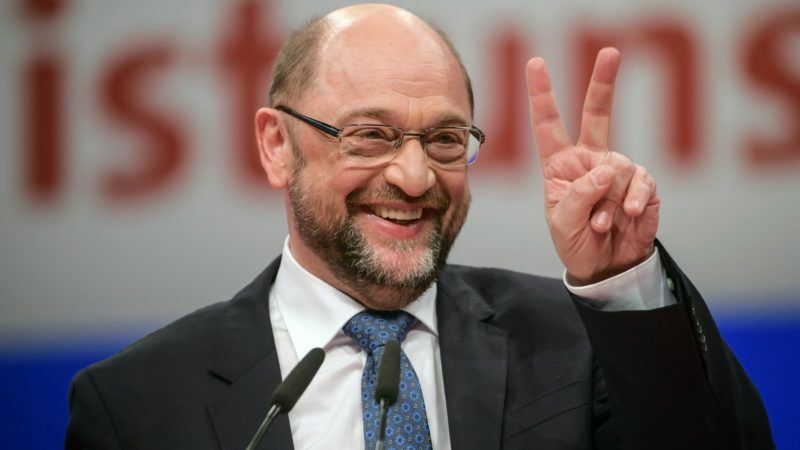 The chairman of the SPD, Martin Schulz, speaks after his reelection as chairman of the SPD during the party convention of the German Social Democratic Party (SPD), in Berlin, Germany, 07 December 2017. The centre-left SPD approved “open-ended” talks expected to start next week that could lead to either a new right-left “grand coalition”, the toleration of a Merkel minority government or, if negotiations fail, new elections. Ten weeks after inconclusive elections left German politics in a stalemate, SPD chief Martin Schulz had pleaded with his party to give him the green light for such talks, promising to push key demands from improving social welfare to strengthening the European Union. 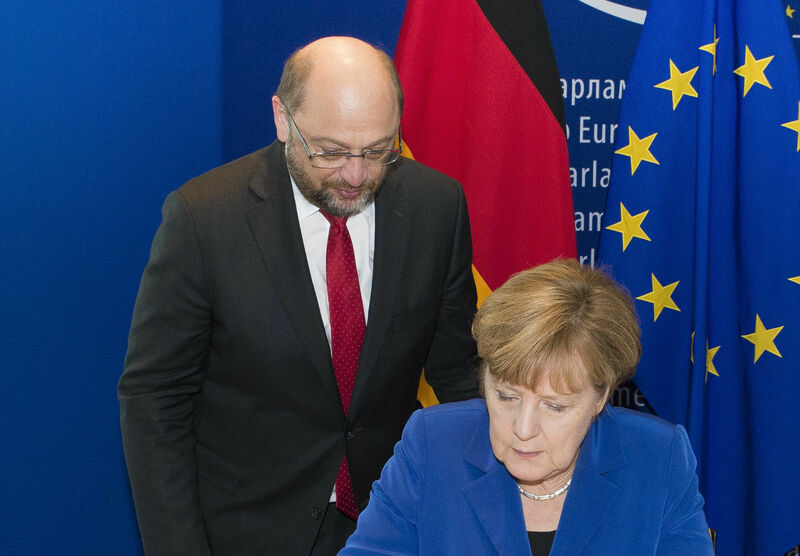 “We don’t have to govern at any price, but we must not reject governing at all costs either,” Schulz told the Berlin congress of 600 delegates, many of whom loathe the idea of once more governing in Merkel’s shadow as the SPD has for the past four years. Germany’s centre-left Social Democrats meet from Thursday (7 December) to decide on whether to help Chancellor Angela Merkel end a months-long political stalemate in Europe’s biggest economy. Schulz, the former president of the European Parliament, vowed to extract a high price if the SPD supports Merkel for a fourth term from early 2018 at the helm of Europe’s biggest economy.